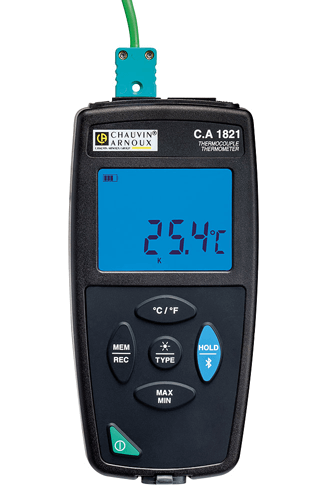 Compact and magnetized for fixed or portable use, the C.A 1821 is an accurate, versatile, long-lasting thermometer. Equipped with a wide backlit display, it offers all the useful functions for work in the field, such as Min, Max, Hold, as well as spot or programmable recording possibilities. 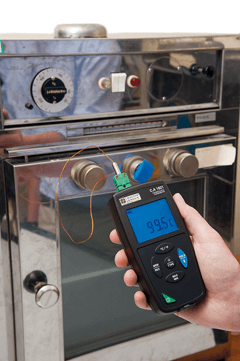 1 input for K, J, T, N, E, R or S thermocouple. Min, Max, Hold functions, Alarms / °C or °F / Backlighting.